Vuurwapenmunitie .22lr is enkel te koop met geldige model 9 of vergunning model 4 voor .22 lr vuurwapens. Verpakt per 100 st.
Remington Golden Bullet loads create a pleasant shooting experience for young shooters as well as high scores for competitors. 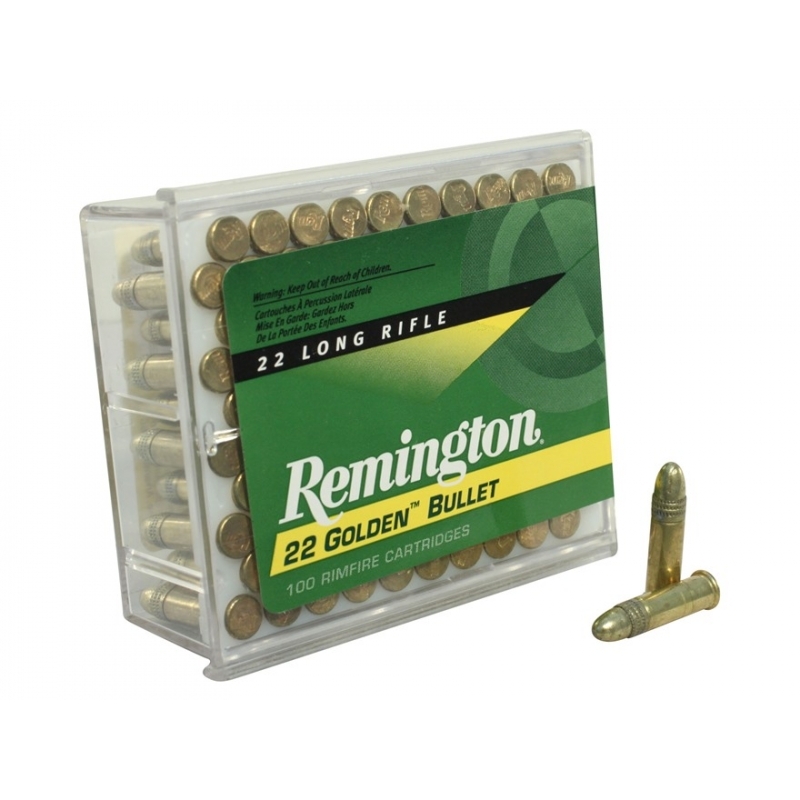 Golden Bullets are loaded with clean burning powder and plated bullets making them perfect for semi-automatic firearms. The solid bullet is a good candidate for both small game hunting and plinking. Muzzle Energy: 140 ft. lbs.